BlackBerry’s latest ammunition in its fight to become competitive in the smartphone market once again is Leap, an evolved edition of the Z10. Canadians will be able to purchase the Leap for $349. Due to Canada’s weak dollar, consumers in United States, United Kingdom, France and Germany can purchase the smartphone through ShopBlackBerry for $275. While the device is currently available for pre-order in all of these locations including Canada, there is no solid confirmation on its official release date in Canada as of yet. Leap is the first all-touch BlackBerry released by the company in over a year. The device has a five inch HD display, front and rear facing cameras, and promises up to 25 hours of heavy battery usage. BlackBerry Leap comes preloaded with the Amazon Appstore, which will come in handy for users wishing to download Android applications. Despite lackluster sales of the BlackBerry Playbook back in 2011, BlackBerry CEO John Chen is considering taking another shot at the market. “It’s not in the works, but it’s on my mind,” Chen said in an interview at the Mobile World Congress conference. A new tablet might introduce a fresh revenue stream for the Waterloo, Ontario-based company, which struggles with smartphone sales. At the same time, BlackBerry might not have enough faithful users to support a new tablet, especially since the tablet market saw its first year-over-year decline in shipments in the fourth quarter. On the positive side, the market may be interested in a tablet geared towards work projects, to compete with Microsoft’s Surface Pro 3 and the rumored iPad Pro. BlackBerry has already announced the products it intends to release over the course of the year, including a yet-to-be-named slider BlackBerry, a touchscreen device called Leap, a Porsche edition BlackBerry, and a device with the company’s traditional keyboard. BlackBerry has announced its plan to offer a cloud-based version of its device management platform BES12, which will make the service more accessible to small- and medium-sized businesses needing to secure devices on their own networks. The Waterloo, Ontario-based company is known for its device management and security expertise, but up until now has mainly catered to the needs of large government agencies and corporations. BlackBerry is now broadening its offerings, as data security needs become more critical. Growing demands from smaller companies requiring cloud-based capabilities, and from larger companies with smaller divisions, lead BlackBerry to unveil this new offering. BlackBerry’s cloud-based device management offering was unveiled at the Mobile World Congress in Barcelona and will be made available to customers later this month. Months after its launch, the BlackBerry Passport – along with the Classic – will now be available at AT&T. So far, AT&T is the only U.S. carrier to offer the uniquely shaped Passport. As of February 20, the Passport and BlackBerry Classic will be available for purchase in-store and online. The Passport will cost $200 with a two-year contract, or $650 without. The more traditionally styled BlackBerry Classic will be available for $50 on a two-year contract, or $420 without a contract. Over the past few years, BlackBerry has been gradually shifting its focus towards business-class software and services. After the failure of last year’s BlackBerry 10 operating system, the company has been fighting to make a comeback. These two smartphones will prove critical in keeping BlackBerry in the mobile game. BlackBerry’s Passport, which features a 4.5-inch square display and triple row of physical keys, has been redesigned for AT&T to have more rounded edges. The Classic has a more familiar design and shape, and will appeal to long-time BlackBerry fans. While the Passport is an AT&T exclusive, Verizon Wireless has said it will also carry the Classic but has yet to release details. BlackBerry and NantHealth, a cloud-based healthcare data provider, have launched a secure cancer genome browser, allowing doctors to access patients’ genetic data on their BlackBerry Passport smartphones. BlackBerry bought a minority stake in NantHealth earlier this year, with an eye towards developing its presence in the healthcare sector. The company’s immense networks can manage and secure data on mobile devices, which will prove advantageous in the healthcare industry due to its heightened focus on patient privacy. The BlackBerry Passport’s wider screen is ideal for physician use, allowing for better viewing of X-rays, scans and documents. The genome browser is fully encrypted to allow physicians to securely access patient data as soon as it becomes available, regardless of their location. “Our partnership with BlackBerry has really been able to create a scalable super-computer in the palm of the hand of the doctor,” Said Patrick Soon-Shiong, chief executive of NantHealth. The browser will be shown at the Consumer Electronics show in Las Vegas in January. 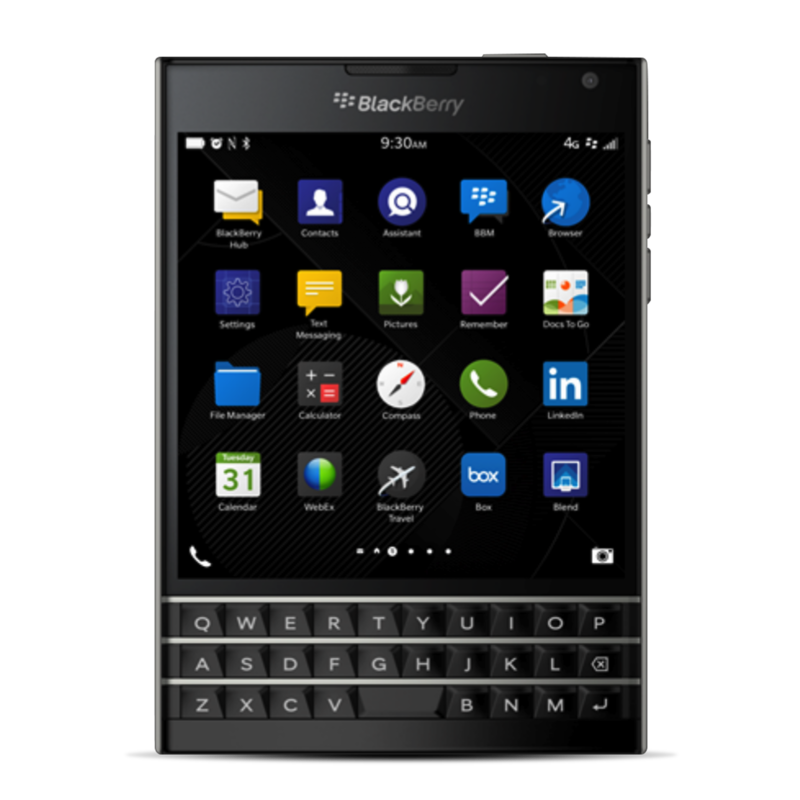 It will be pre-loaded on BlackBerry Passport devices and made available to the professional community in early 2015. The browser will also be available on certain alternate platform devices, but will still be secured by BlackBerry’s network. In an attempt to win back customers, BlackBerry is offering users up to $600 to trade-in their iPhones for a new BlackBerry Passport. 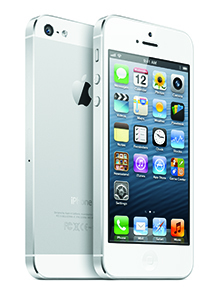 Canadian users with a model 4s or later can receive a trade-in value of up to $400, depending on the model of the phone, plus a $200 top-up from BlackBerry. Users in the U.S. are also eligible for this offer, which includes a $150 US top-up. However, this promotion is not available outside North America. Anyone hoping to take advantage of this offer must purchase a BlackBerry Passport from the company’s online store or from Amazon.com. BlackBerry will send users a prepaid Visa gift card within six weeks of receiving the iPhone and proof of purchase for the Passport in the mail. The offer begins December 1 and runs until February 13, 2015. BlackBerry CEO John Chen recently announced the Passport is now available in red and white, along with the traditional black. BlackBerry will be releasing a new device called the BlackBerry Classic. CEO John Chen teased details about the device in a blog post, saying it will have a larger and sharper screen, a QWERTY keyboard and top row navigation keys. The Classic is designed to lure back the device’s traditional fans. BlackBerry has made many attempts to win back consumers during its decline over the past few years. Chen is now focused on aiming products at the company’s core users, primarily in the business sector, who are fans of a tangible keyboard. “We are committed to earning your business – or earning it back, if that’s the case,” wrote Chen in his blog post. He has said the phone will debut by the end of the year. In an effort to ramp up its portfolio, BlackBerry has recently acquired UK-based startup Morvitu. Its reasoning? Morvirtu’s software allows users to manage multiple phone numbers from a single device. BlackBerry’s core base of corporate and government clients makes Morvirtu a perfect fit for the company. Morvirtu’s technology allows users to have a personal and business number on a single device, and to toggle between these profiles as desired. It would also mean the separate billing of voice, data and messaging for each number. The best part is users don’t have to carry multiple devices or SIM cards. “Clearly this fits nicely within the strategy we have so far articulated. We are building recurring revenue streams in value-added services and providing more value to enterprises,” the head of BlackBerry’s enterprise unit John Sims said in an interview. This acquisition provides further proof that BlackBerry’s chief executive John Chen plans to reshape the company by increasing its focus on software in the areas of mobile data security and mobile device management. With security being an increased concern in the digital world as of late, it is important to know if your phone is vulnerable to attack. According to a test done by FinSpy, iPhone users can rest easy knowing they are the safest. FinSpy, spyware commonly used by law enforcement to monitor mobile devices, conducted a test to see how easy it was to break into different phones based on their operating systems. As it turns out, FinSpy was successful with all versions of Android and BlackBerry, Symbian, and Windows 6.1 and 6.5. The only OS they could not crack was the Apple iOS. So iPhone users can rejoice in the knowledge that they are a little bit safer than everyone else. However, if your phone has been jailbroken, it is more vulnerable to spyware. BlackBerry Messenger (BBM) has proved to be a bit hit for BlackBerry, Android and iOS devices. And as of July 31, Windows smartphone users can now download the popular chat app. BlackBerry recently announced its collaboration with Microsoft, which allows Windows 8 phones and higher to use BBM. BBM already has 85 million monthly users. Developed in 2005, BBM continues to be one of the largest private social messaging systems. The Windows phone app has been specifically designed to bring users the easiest use while still remaining true to BBM’s original form.